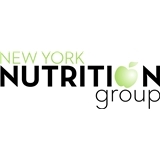 The NY Nutrition Group, PLLC (Woodbury) - Book Appointment Online! Professional, knowledgeable and to the point. Made it very easy for me to know what I need to eat going forward while giving me options. Highly recommend! Stefanie M was very kind, courteous, efficient and professional for the entire duration of my appointment. It was not impersonal, or rushed as I've experienced with other Health Care Professionals. She took her time explaining, engaging me and answered all my questions and concerns. I would highly recommend Ms. Mendez's services to any one needing a Great Nutritionist who knows her craft, and really cares. She is an excellent representation of New York Nutrition Group and should be highly commended.